Finally!! A permanent solution in order to prevent WordPress from filtering line breaks "<br>" from a post. In spite of trying various methods such as putting line breaks "<br>" inside "<code>" tag and many other such HTML tricks (many of which can be easily found at WordPress) just to be able to put multiple intentional line breaks in a post, wordpress would eventually manage to filter those line breaks. Even if the tricks were successfully applied, when it came to re-editing a post, all efforts would go to vain when TinyMCE initiates its own filtering process. WordPress has a built-in powerful post/text editor commonly known as the “Visual” editor, which uses the open source project named “TinyMCE“. When switching from Visual to HTML editor in WordPress or vice-versa TinyMCE executes a back-end filtration process which removes empty tags, and <br> tags from the post. Needless to say, it is very irritating when a author is forced to loose his/her creative ideas by forcing these kind of annoying and unnecessary filtration. Many has expressed their annoyance regarding this issue, as evident HERE. Most of the time I would just reverse engineer stuff that really bugs me, silently and without complaining. But this time around I have found a solution for this problem without any reverse engineering. 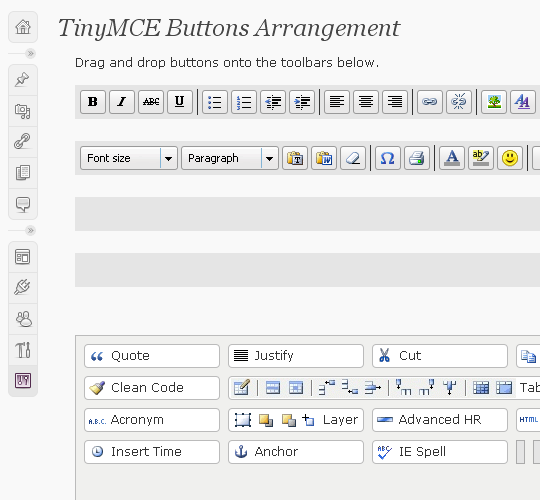 TinyMCE-Advanced from wordpress is a wordpress plugin, which adds the option to disable the removal of <p> and <br> tags when saving a post and in the HTML editor (autop). After installing-activating, the option to enable line breaks can be found in the Settings->TinyMCE Advanced panel. The plugin along with adding the functionality mentioned above provides the ability to add many more very useful buttons in the Visual editor, which is a big plus. Please feel free to suggest other ideas below and/or let me know if this did the trick for you too. Nice trick let’s see if that line break really worked. Let me join those singing your praises. I spent three hours on this last night, utterly befuddled. Your write up is a model for technical writing: you explain the problem and present the solution so clearly that even a novice like me can resolve the problem. Many, many thanks! THANK YOU!!! OMG, I LOVE YOU! LOL ;-) This is so awesome, TinyMCE changes the whole game lol. wow this really saved me a bunch of time and agony! Thanks bro. Ahhhhh! It works! Thank you so much, and even though this is “old” I wanted to comment so you k new you are STILL helping people. Only thing is even with this plugin installed the tags have no effect. Using a did work though. Thanks! I wrote a small article referencing your article. It was great to find out (finally) how to add a simple line break! Thank you. I can actually go to sleep now. I could not for the life of me figure out how to get the to work and now it’s working perfectly. Thank u!!! Wow, that finally solved the spacing problem! I thought I was going loony with WordPress stripping out my br and p breaks every time I did an edit! What a relief! Thanks for sharing! You made my day…Simply brilliant!Thanks a lot! I spent more than two hours trying to find a solution to the problem of disappearing HTML tags when switching back-and-forth between HTML and rich visual editor in WordPress. You explained the problem clearly and gave an elegant and useful solution. You rock. Thank you so much. TinyMCE Advanced is a wonderful plug-in. Thanks for this, saved a lot of pain reformatting my webpages. Finally a solution so a HUGE thank you from me for providing this info. I will share on Twitter! Thanks a lot! This has been a constant problem when using WP as a CMS for websites. The plugin works just fine for me. The editing buttons are too much to manage in my screen. Do you have any idea to put them into two line in visual interface? this drove me crazy. Thanks for your help! Thank you! That was driving me crazy! Thank you for the post. It was driving me crazy every time I saved an article and WordPress will remove the ! This isn’t working for me. I put it on 2 sites. What might I have done wrong? Can someone tell me the steps I should have taken? After I installed it, in the wp-admin area, my post that I was working on got real wide and was overlapped by the side bar info. And it had no effect on the spacing between my paragraphs. I’ve always had TinyMCE Advanced installed but never noticed that option! Thanks soooo much! Thanks Rubayat. The removal of line-breaks has been driving me crazy for ages. A solution at last! Thanks alot for sharing… been looking for this for a while! Sounds interesting. I have also faced the same issue with WordPress visual editor. Will sure give it a try. Thanks for sharing. Thank you! After a gruelling two days of setting up WordPress as my website CMS I had all but given up on unclunky formatting… Your post sent me in the right direction and taught me (a WordPress newbie if there ever was one) how to tweak the plugin exactly. That explanation is a life-saver! Cheers again! OMG, Thank you! You have saved me so f-ing much time and heart ache. Thank you! I take that back, it did work. Please don’t think of this as comment spamming, I just didn’t fully understand how it worked. I typically work in the HTML instead of the visual editor. This plugin DOES work in WP 3.0. Well, it didn’t work for me. I’ll have to keep searching. Thanks for the post. I’m still glad that it worked for other people. This issue is quite annoying so I am thrilled to have found something that could possibly solve it. I just upgraded to WordPress 3.0. Do you know if this fix works with WP3? Just wanted to thank you for providing the solution to BR tag issue. I was frustrated when I couldn’t get the BR tag to stick. I already had TinyMCE installed but did not know that it could fix it. i activated plugin and changed setting to allow line breaks. now when i type a line break it wraps it in a paragraph tag!!!! Many thanks buddy for sharing this great suggestion on web. I was having the same line break issues on few of our projects. This is the perfect solution I was looking for. Thanks again! I can’t get it to work… WHICH icon is for br??? Thank you… I’ve been stumped by this as well… now to go back and reformat all my older posts! Here we are, a year later, and this is both still the best answer, and sooooo much less than perfect! This editors plugin must constantly fight with the underlying structure of WP, and so it still refuses to allow you to have exactly what you lay out in your editor. Thanks a million bucks for this solution. You don’t know how much I have spent trying figure this out. THANKS AGAIN. No need to curse anymore! Thanks for letting us know about the post. Our chlorella website looks proper now! Thank God! We’ve been struggling for months trying to make our models portfolios look nice…We are so grateful for this plugin! Thanks. I was getting of cursing at my screen about where the hell my went. This plugin really help me. Very helpful. It makes WP a whole lot better. Thanks a lot! Excellent. I use TinyMCE Advanced and I didn’t even notice that option! Thank you for posting this, works like a charm. thanks for this tip. but why wordpress remove br tag automatically? Thank you, this worked wonders! Thanks for this post. It has somewhat fixed the problem but not 100%. I don’t understand why the hell WordPress decides to strip out BR tags. When enabling the option you mentioned, all it does is create a new CSS class called br_fixer and whenver I type out a proper BR tag, it gets replaced with a P tag using the br_fixer class so instead of getting a clean line break, I get two line breaks. Thanks very much, it worked wonderfully! Thanks for the tip. I fixed the issue before, but couldn’t remember how. Thanks! Finally a nice solution :), the boss was constantly complaining that the breaks weren’t saved. Thanks Rubayat, you saved me a lot of walks to the bosses office. thankyou for this post.. best solution so far! Thanks, this works just fine for me! I can’t add a in the html tab, it won’t work. But I can add line spaces in the tinyMCE editor, and it works no prob with the plugin installed. Searched all over and never could figure out how to stop TinyMCE from stripping my br and paragraph tags. I installed TinyMCE Advanced, and everything is working PERFECTLY. Thank you for this information. It seems to have gotten even more strict in WordPress 2.8 Used to be able to include arbitrary space here and there, but now it’s all gone. woow.. really thanks for this. i am tired that my post always shrink due to the removal of “BR” tag. Sorry. the comment before removed some html tag. I rewrite the comment. It allows me to add break line in the Visual View. However, it also add an extra break line at the beginning and the end of the content whenever I save or update the content from visual view. Is there anyway to fix it? You rock. World needs more souls like you. Gracias! Lo unico que funciona… y de maravilla! It exactly what I needed. now I use this plugin especifically for BreakLine et Blocquote button ! Thanx a lot. For some reason, this partially fixed my issue, but the editor is still taking out half of the tags and replacing them with . Does anyone know the underlying PHP file that controls the WP logic on this? I want to strip out the find/replace PHP function since nothing else seems to work. I found several other suggestions… one said to use but when I do that, WP then adds an extra … it’s totally crazy. Thanks for the above suggestion, I never noticed that checkbox in TinyMCE. your code didn’t come… but what tags are exactly getting replaced though? I am not sure, if this will fix it but let me know if it does. You rawk man. A LIST FULL OF COMMENTS at another blog post about how to break lines came up useless. Yours linked here… PROBLEM SOLVED. You are a saviour! Thankyou! Thank you for pointing me to Tiny MCE. I am really glad to know about it; maybe my hair that I pulled out will grow back! :) I am glad Jo Anne that it was helpful. Thank you for your comment. 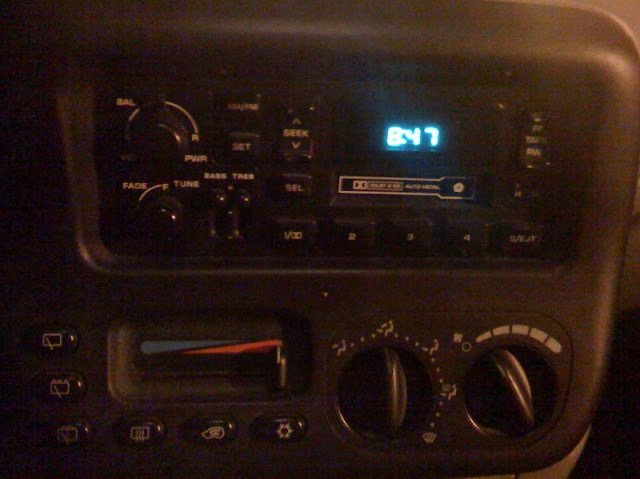 This entry was posted on Sunday, March 1st, 2009 at 4:20 amand is filed under Plugin, Reviews. You can follow any responses to this entry through the RSS 2.0 feed. You can leave a response, or trackback from your own site. CHrsdmdm: Nice trick let’s see if that line break really worked. Praan Lyrics – Where the Hell is Matt?